Flipboard rolled out a new update today for their Android app, only you won't be able to find it in Google Play. 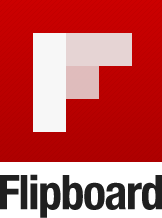 The new app is only available via Flipboard's beta release channel, and it packs in several major changes. The beta app features a new menu design that includes pop out menu drawers on both sides of the screen, with the right drawer containing the search, topics, and suggested sources while the left drawer contains the notifications/settings and the magazines you're following. If you want to give the beta a shot, head on over to Google Groups and join the beta group, then opt into the test.